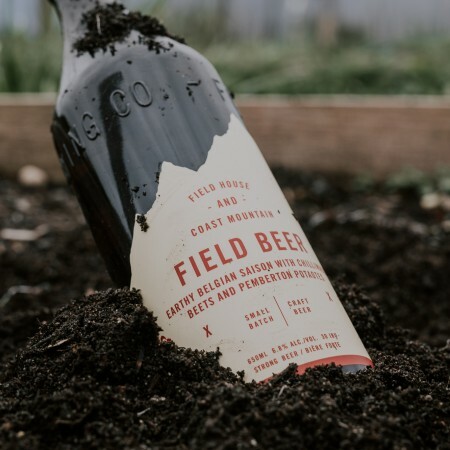 LANGLEY, BC – Field House Brewing has announced the release of a new collaboration with Coast Mountain Brewing that includes some unique ingredients. This rustic saison is a dry field beer with flavours of peppercorn, lemon and over-ripe fruit with a mouthfeel of starchy sweetness. Fermented out with a dry and spicy Belgian saison strain, and a fruity but subtle brett strain, then dry-hopped with mt. hood to add further earthiness. Field Beer is available now in the Field House taproom on draught and in 650 ml bottles while supplies last.